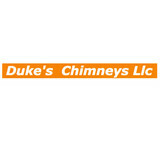 Based within Danbury Ct Dukes Chimneys have been building high quality chimneys and fireplaces for the residents of Fairfield County and New York. During that time we have been committed to providing our customers with a first class building experience. All of our work is completed to very high standards and fully guaranteed. We have many satisfied customers who would gladly provide a reference regarding our building services and the quality of our workmanship. When we work for you, you can be assured that we will give our full dedication to completing the work from start to finish, whilst maintaining our strict high standards and quality. 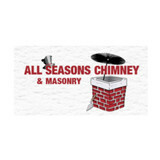 All Seasons Chimney of New Windsor, NY is owned by Kevin Fox and provides chimney, dryer vent, and fireplace services. 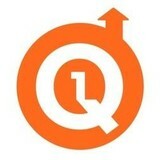 Hours of operation are 8am to 5pm on Monday to Friday. The CSIA certified technicians have provided the lower Hudson Valley and surrounding areas with excellent service for over 25 years. Our name speaks for itself. The Quality 1st Maintenance team includes the best masonry experts,and certified chimney professionals in the industry with over 15 years of on the job experience. We are a fully licensed and insured, family owned and operated business. Quality 1st provides excellent customer service and a broad range of services for both our commercial and residential clients. We are a local chimney company. 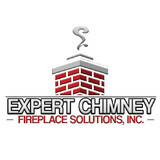 Specializing in chimney cleaning and inspection. We install chimney caps,liners, and all your chimney needs. As our name suggests, Flat Rate Air Duct Cleaning is the most feasible air duct cleaning service you can choose to hire in all of New York City. We have the most efficient and effective cleaning methods and we can make sure that we perform the job in no time at all. We offer our services all over New York. It is highly likely that if you look around, it will be very difficult for you to find an air duct cleaning service in New York City that is half as credible and reliable as Flat Rate Air Duct Cleaning. We have affordable rates, high quality service and excellent customer support. Our customers come back to us entirely for these reasons. We have an established reputation and this reputation has allowed us to grow further and convince other individuals that we are, indeed, the best air duct cleaners. The main service that is offered by Flat Rate Air Duct Cleaning is NY air duct cleaning. This means that we clean all kinds of air ducts you have in your house or in your commercial building. We cater to all kinds of buildings that have air ducts and our services are not restricted to a specific group of customers. We do offer our services in New York City but some other areas in New York are also covered. Apart from that, we also have additional services that we can offer to our customers. Flat Rate Air Duct Cleaning focuses on air duct cleaning, as mentioned above, but we also offer other services that involve other kinds of such passageways in the house or in a building. Some other services that we have to offer are dryer vent cleaning, hood vent cleaning, air duct sanitization, air duct inspection, chimney sweeping and fireplace cleaning. These services, if taken advantage of, can make life easier for a lot of people and also makes it a lot easier to use these vents and air ducts. Mr. Chimney is a full service, chimney repair, fireplace repair, asbestos removal contractor. We provide complete fireplace and chimney restoration and are recognized as Westchester County's leading residential, commercial, asbestos removal experts. We are a family owned business inspecting, cleaning and rebuilding chimneys since 1970. Our technicians are available 24 HOURS A DAY for chimney repairs and asbestos abatement. We specialize in deciphering smoke issues, water leaks, asbestos clean up and solving drafting problems. Call us, anytime, night or day, we are the advanced chimney experts that you can trust! Our company is fully licensed, insured and we are members of the National Chimney Sweep Guild. We service Westchester County, Putnam County, Fairfield County, the Bronx and Manhattan. Pete’s Chimney & More is a one stop shop when it comes to roofing and chimney installation, repair and maintenance services. Our staff are well trained and highly skilled when it comes to roofing and we assure you of the quality of our services. We also specialize in services such as gutter installation, fencing, painting, power washing and other services. Call us right now to know more about our services. 24 hours Cash, all cc Atlantic Vents Cleaning is a family business. We love our work, we do it professionally and cherish our customers. We are here to provide high quality cleaning services such as: Professional Air Duct Cleaning, Dryer Vent Cleaning, Dryer Vent Installation, Dryer Vent Inspection, Chimney / Fireplace Cleaning as well as Video Inspection. We do Commercial and Residential cleaning. With over 5 years of experience, impeccable reputation, and great references, we provide only quality services. Centralized Air duct/Hvac Cleaning. We will clean a heating/air conditioner unit at your house using powerful vacuums and specialized tools. Our trained technician will remove accumulated dirt and debris to improve the air quality at your house. The benefits of a freshly cleaned air duct system include: Cleaner, fresher & healthier air inside your house/building/office, Mechanical units will perform more efficiently when coils and blowers are cleaned which means energy and money savings for you, Full service of air system cleaning includes cleaning out all the vents including the return ones as well as the furnace/air handler. This is the heart of the air system and it should be cleaned as well. When we clean your air ducts, we remove all the vent covers to wash them and brush inside the ducts to the air conditioning unit. A business will achieve higher cost efficiency with outsourcing the cleaning and maintenance work compared to having it done in-house. This is because in addition to the purchase of equipment and materials, the company will have to invest in the professional training of in-house staff. If additional workers are hired, the cost will climb further up. Given that the care for air vents and shafts is not a daily or even weekly task for the majority of businesses, it is simply not economical to go for the in-house option. Whenever your dry vent system isn’t able to properly exhaust, it will over heat. This can threaten your safety, health and home. It is possible to clean the dryer vent system on your own. However, if you would like to have some expert advise or don’t know how to do it, you can contact a professional dryer vent cleaning company like ours to inspect and clean your system to ensure that it is safe. The professional can also answer any questions you might have. As far as the frequency of cleaning is concerned, it depends a lot on the usage of the fireplace. The National Fire Protection Association recommends annual inspection for soundness check, deposits build up and cleaning and repairs, if needed. You should also keep in mind that squirrels, birds and other similar critters can also make a chimney unsafe to use. It means that your chimney is at risk even if you have not been using it regularly. Why do I need to hire a chimney cleaner in Hicksville, NY? Fireplace cleaning always seems like a messy task, and that’s because it is. Creosote, better known as soot, forms when wood is not properly burned — unburned tar vapors stick in the flue, or walls, and are tricky to clean but can lead to chimney fires if not taken care of. In fact, about a quarter of all residential fires that occur in the United States are caused by creosote buildup. That fact alone should motivate you hire a Hicksville chimney sweep as soon as possible! Other common problems that a fireplace and chimney inspection should catch are damaged or decaying mortar and joints, leaks that let in air or water, and even animal extraction. Chimney repair is an important part of keeping your entire Hicksville home safe and sound, so keep yours in tiptop shape to reap its benefits safely. The Chimney Safety Institute of America actually certifies chimney sweeps, so you know if they are CSIA certified that they will do a good (and safe) job. It’s recommended that you get a full chimney inspection once a year at least, so don’t hesitate to call a chimney service in Hicksville, NY at any point during the year if you suspect something is not quite right. 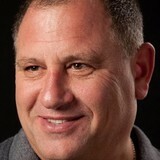 Find Hicksville chimney cleaners on Houzz. Narrow your search in the Professionals section of the website to local chimney cleaning services in Hicksville, NY and read reviews and ratings to find one that fits your needs.